The IMUS Forklift Mounted Multi Scoop is an ideal alternative to a loading shovel that allows your forklift to be turned into a more universal asset. The Multi Scoops are ideal for the movement of loose materials such as sand, gravel, topsoil or similar. 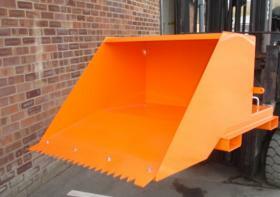 The Multi Scoops can also be used at the rear of a collecting vehicle or into a big bag bulk hopper.